Siberia is massive, stretching eastward from the Ural Mountains to the Pacific and Arctic Oceans. With roughly three inhabitants per square kilometer, it is one of the least densely populated places on Earth. However, it has proven to be a treasure trove for archaeologists. The cool, dry air and permafrost has a unique way of preserving the deep past. Despite our view of it as inhospitable, Siberia was once a cradle of mankind. 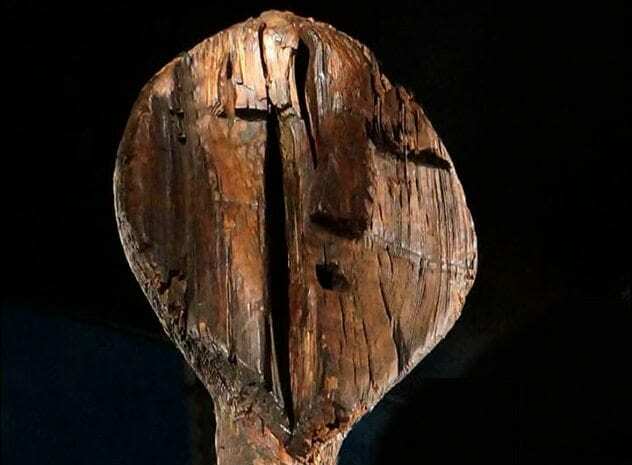 Archaeologists discovered the world’s oldest wooden sculpture while excavating a bog in Western Siberia in the late 19th century. Determined to be 11,000 years old, the idol is twice as old as the great pyramids and 6,000 years older than Stonehenge. The 2.8-meter (9.2 ft) figure was carved from a larch tree that was 157 years old when it was felled with stone tools. Conditions in the bog preserved the idol. The statue’s face remains vivid, as do the series of lines and squiggles that crisscross the idol’s body. Some believe the idol’s smaller faces and lines contain encrypted information. One has suggested that they represent various types of terrain. Others believe that the idol, which once stood 5.2 meters (17 ft) tall, might represent a prototype of a Native American totem pole. In 1990, archaeologists thought they’d unearthed the remains of an female warrior in Siberia’s Altai Mountains. The 2,500-year-old, pig-tailed teenager was believed to have been part of an elite group of Pazyryk warriors. Buried alongside shields, battle axes, and bows and arrows, the teenager had a physique suggesting an expert horse rider. Ancient Greek writer Hippocrates noted that the Scythians had female warriors called Amazons. Many believed they had finally discovered one of these mythical warriors. However, DNA analysis shattered this view. It turns out she was a he. Roughly 16 at the time of his death, the “Amazon” was buried surrounded by fertility symbols like cowrie shells as well as amulets. The coffin, wooden pillow, and quiver were all smaller than those found in men’s graves. The remains of nine horses, including four bridled ones, suggest high status. The cause of the pig-tailed warrior’s death remains a mystery. Many believe cancer to be a modern disease. For years, researchers have speculated that the lives of premodern humans, who were active and ate natural foods, were cancer-free. However, the 2014 discovery of a Bronze Age Siberian man who died of prostate cancer refutes this. 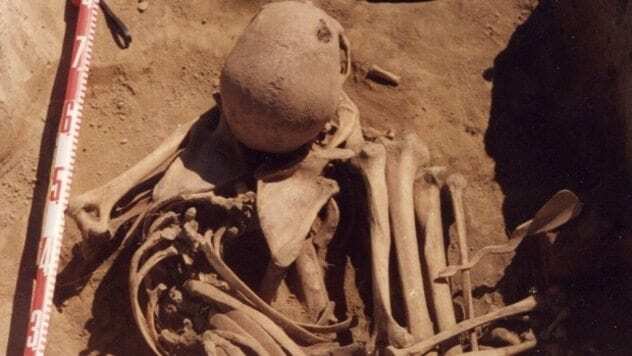 While 6,000-year-old benign growths have been discovered, this 4,500-year-old example is the oldest absolutely confirmed case of cancer. 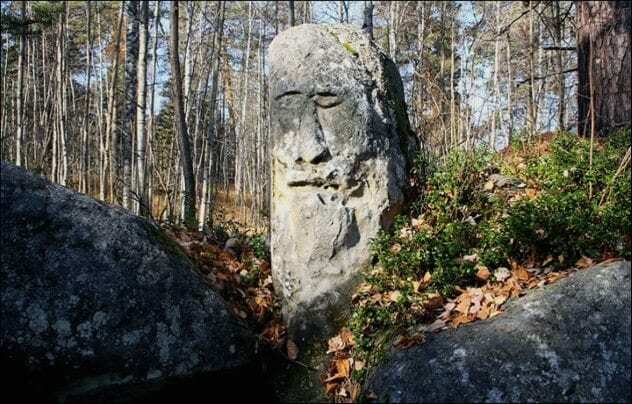 The man was discovered in a small burial site in Siberia’s Cis-Baikal region. Most of the men found at the site have been discovered on their backs with hunting and fishing gear. However, cancer man was different. 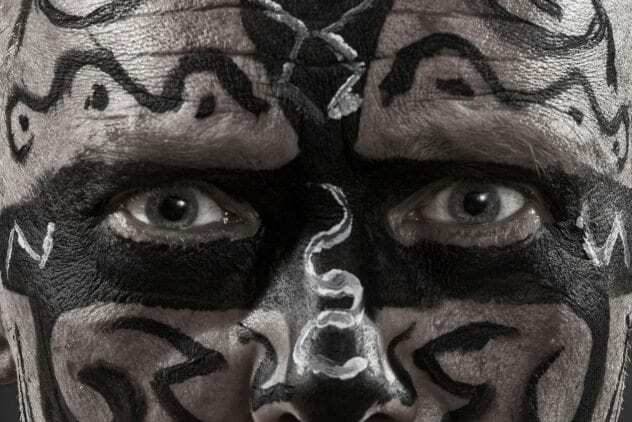 He was found in a fetal position with an intricately carved bone spoon beside him. This suggests he lived a life outside of the normal community. However, the arrangement might be related to the slow and agonizing death he suffered, nauseous and unable to breathe. Archaeologists believe that a 2,400-year-old Siberian stone idol underwent “racial realignment” in the early Middle Ages. The Ust-Taseyevsky idol has flared nostrils, a large, open mouth, a mustache, and a bushy beard. Experts theorize that around 1,500 years ago, someone gave him “plastic surgery” to look less Caucasian and more Asian. Archaeologists believe that the Ust-Taseyevsky idol was originally carved during the Scythian period, when inhabitants of the region were European-looking. During the early Middle Ages, the population of the Angara River region shifted with an influx of Mongols. There is evidence of a less talented sculptor narrowing the idol’s eyes. The bridge of the nose was flattened, and its contour was altered. The beard and mustache were partially “shaved” off. Researchers believe the idol received another alteration in the late 17th century, after Russian occupation. A small, conical hole was drilled into the mouth for a tobacco pipe. Archaeologists recently unearthed a suit of bone armor in Siberia. 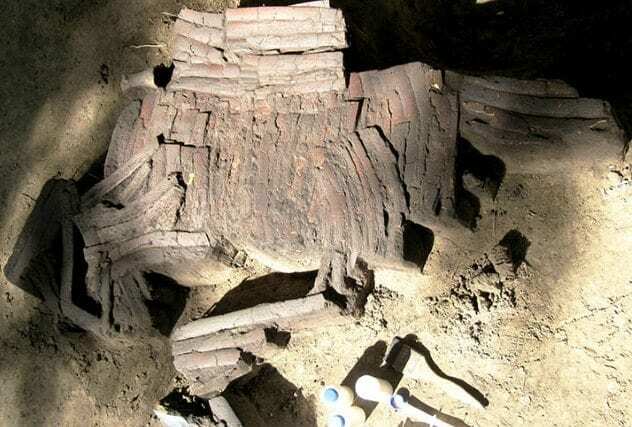 The 3,900-year-old protective gear was made from an unknown animal and was buried separately from its owner in the forested western steppe around Omsk. While most of the finds in the area are from the Krotov culture, researchers believe the armor belongs to the Samus-Seyminskaya culture, which originated in the Altai Mountains before migrating southwest. The armor was found in “perfect condition” and is believed to have been a gift, exchange, or perhaps spoils of war. The protective bone gear was discovered 1.5 meters (5 ft) underground near a sanatorium that was being renovated into a hotel. The separate burial suggests the armor’s involvement in ritual. Armor of this nature would have required constant care and was believed to have belonged to an elite warrior. Bone armor is not unique to the Altai. The Aleuts, Inuit, and Tlingit people were all known to wear bone armor. 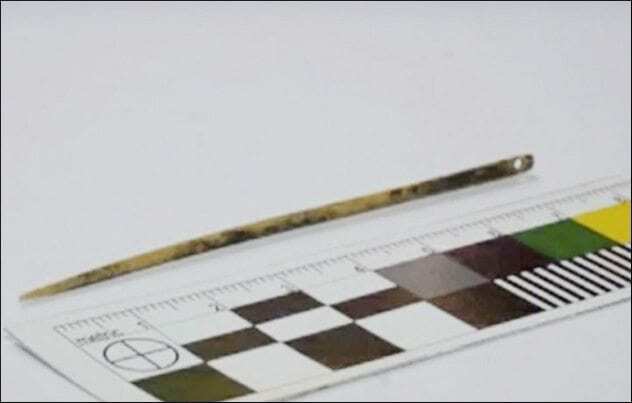 Archaeologists recently unearthed the world’s oldest sewing needle in Siberia’s Altai Mountains. The 50,000-year-old needle was discovered in Denisova Cave and was used by non-Homo sapiens. The 7-centimeter (2.8 in) needle contains a hole for thread and was made from the bone of a large, unidentified bird. Researchers had previously found needles in later cave layers, but this is the oldest and longest one yet discovered. This needle predates the previous earliest-known specimen by 40,000 years. It was discovered in the same layer as our mysterious hominid cousins, the Denisovans, who were named after the cave. The Denisovans were more technologically advanced than Neanderthals. 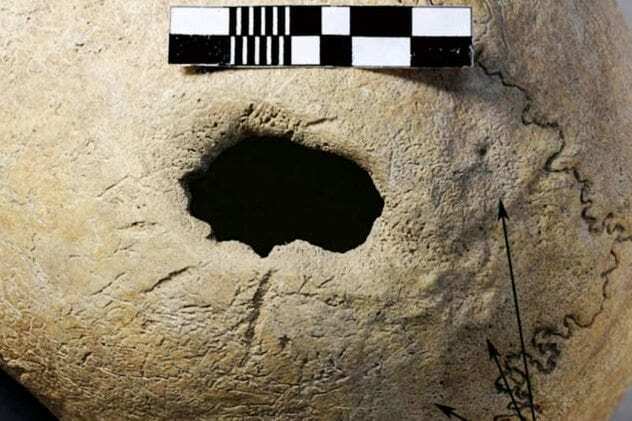 A precise hole in a Denisovan bracelet could only have been accomplished with a high-rotation drill similar to those used today. 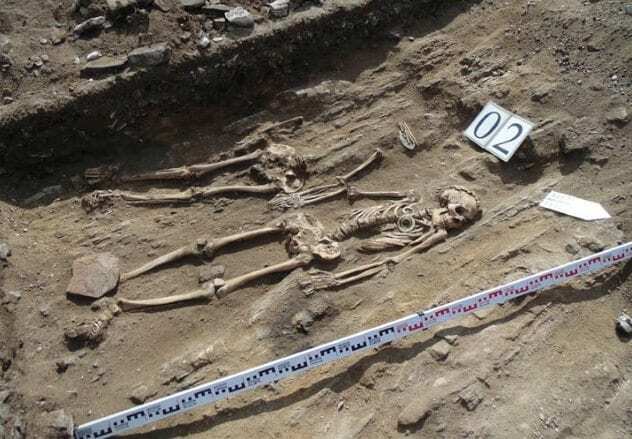 In the Siberian republic of Khakassia, archaeologists discovered the remains of a noblewoman from the ancient Okunev culture. Experts consider the Okunev to be the Siberian ethnic group most closely related to Native Americans. Dated to between the 25th and 18th centuries BC, the unmolested grave also contained the remains of a child and vast wealth. The tomb contained 100 decorations made from animal teeth, bone and horn tools, two jars, cases filled with bone needles, a bronze knife, and more than 1,500 beads adorning her funerary garb. A clay incense burner contains the same Sun-shaped faces that adorn other ancient Siberian rock art. Before, these “masks” had been shrouded in mystery. Now, experts can definitively connect these carvings with Okunev burials. A stone slab containing the image of a bull suggests a southern origin for the Okunev. These bull slabs are uncommon in Siberia but are found throughout Kazakhstan. In 2015, archaeologists unearthed a skull at Siberia’s Nefteprovod II burial site that shows evidence of brain surgery being performed 3,000 years ago. The patient died between the ages of 30 and 40, and the chips taken out of his skull suggest surgical intervention. His open parietal bone showed signs of healing, suggesting that he lived for a period of time after the trephination. Experts believe his death was caused by postsurgical inflammation. Common painkillers like opiates do not grow in the region, but there was no shortage of mind-altering substances in ancient Siberia. Juniper and thyme were used in shamanistic practices and as analgesics. Fly agaric mushrooms were powerful hallucinogens commonly used in Northern Siberia. Cannabis was common in the region and is often found in burials. It is likely that cannabis, hallucinogenic mushrooms, juniper, thyme, and shamanistic ecstatic dancing were used to bring the patient into a state of altered consciousness where surgery could be performed. 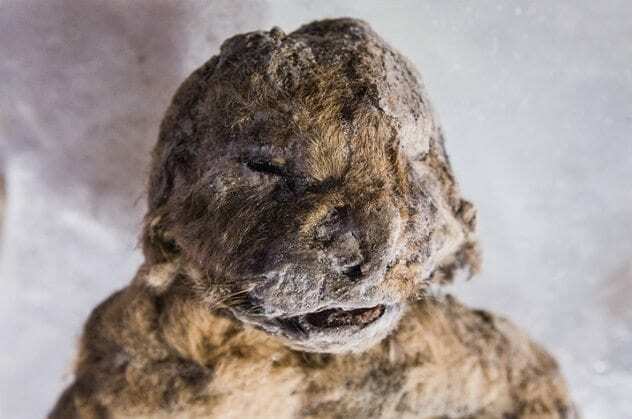 In 2015, researchers discovered two extinct lion cubs in Siberia’s permafrost deposits. Dubbed Dina and Uyan, the cubs may be 57,000 years old. Dina and Uyan are cave lions, which went extinct around 10,000 years ago. They were siblings around one or two weeks old when their den collapsed. An opaque white fluid discovered in their stomachs may be the world’s oldest milk. Cave lions dominated Eurasia, Alaska, and Northern Canada between the Middle and Late Pleistocene. Researchers are hoping that the cubs will help them discover what drove cave lions to extinction. Most experts believe these ancient predators were eradicated for their pelts. South Korean cloning expert Hwang Woo-suk plans to replicate the cave lions. He has already made progress with woolly mammoths. His team will try to preserve the specimens as long as possible, and hopefully, cloning technology will catch up with the state of remains. 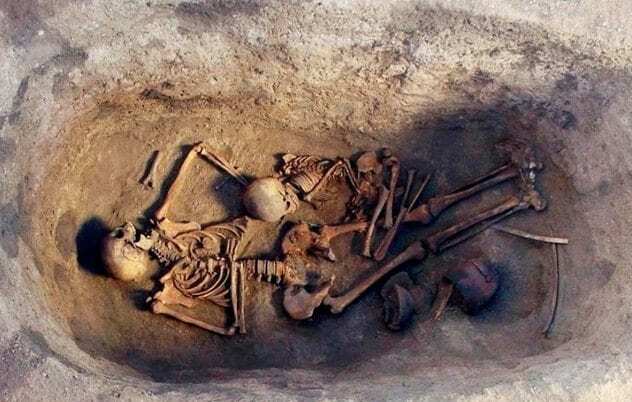 Archaeologists recently unearthed a Siberian couple who have been holding hands for 5,000 years. The Bronze Age skeletons are believed to belong to a dignitary and his wife or lover. Discovered on the shores of Lake Baikal, the couple belongs to the ancient Glazkov culture. The burial was filled with rare white jade rings, pendants of red deer and musk deer teeth, a 50-centimeter (20 in) jade dagger, and an unidentified metal object in a pouch between the man’s legs. The couple was found lying on their backs. Their heads are turned to the west, and their hands are joined. The male skeleton is complete. Unfortunately, rodents disturbed the upper portion of the female. The use of the woman’s large jade knife remains unknown. The bodies were found in an ancient sacred burial ground overlooking the lake. To deter grave robbers, the exact location of the burial has been kept secret.